As usual, use Ctrl + F to search for your favourite character when browsing the shop. Hi everyone I love collecting jirachi and was hoping to make a check list of things to aim for or try to find plush,keychains,flats... Anything. This is purely to make a check list not to buy though I am usually tempted if there is something rare :0) I would love it if you could post some photos so I know what I'm looking for. I'm mainly into jirachi but I also want to know more about bellossom. If anyone can help me I would be realy greatful. I currently live in Rhode Island, but in 6 days I'll be relocating to Massachusetts to begin my college career. Like most of you, my love of Pokemon began in childhood and has never waned. I was never a big collector of the merchandise (aside from the trading cards, which are gone now) seeing everyone's collection posts and updates about gets has left me pining for any trace of Pokemon I can get my hands on! I love just about every Pokemon to pieces, but my top six are Togekiss, Cyndaquil, Porygon, Glaceon, Gengar, and Jellicent (male especially!). Now to hopefully save this post from looking overly tl;dr I'll put the rest of what I want to say and pics of my tiny collection behind this cut! Beastly Legendary GA Payment 2! Raikou_chan has not paid for their part of Payment 1, so the postage is combined with it. If I don't get payment this week, I will leave a negative feedback. Acciolucius - yours includes the card myvampirelust sent, in a card sleeve. I would like to offer up the DX TOMY 2011 Raikou (MWT) that I won - for what I paid in the GA (about $7-$8). It's the leftmost DX Tomy in this pic. There were leftovers too! Open to all! 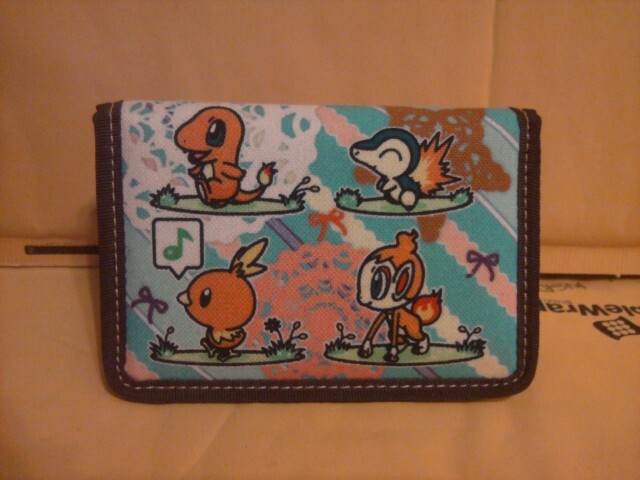 Regarding +Poke box+ orders, I will be sorting them and replying to comments. I've been talking to the rep about the available quantities. Click here to view the countdown clock! Does anyone have any for sale? Would prefer complete in box or sealed but will look at any and all offers. 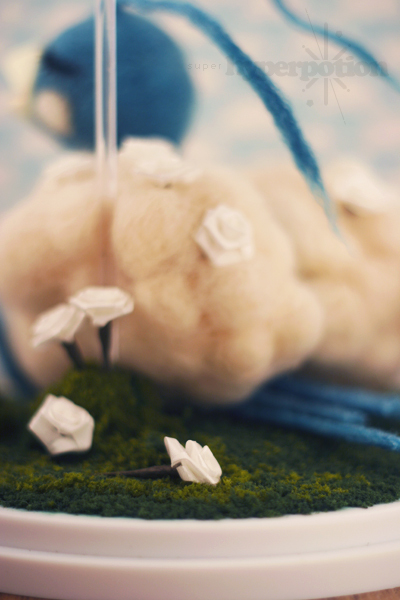 And lastly a quick reminder for my commissions: I stop taking offers for a needle felted diorama on Wednesday. Original post here. Thanks guys! 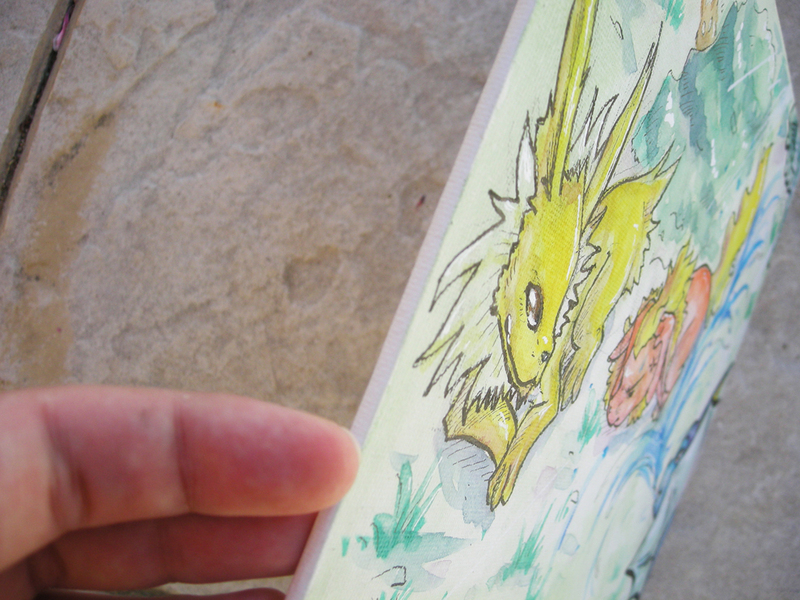 Eevee-lution Canvas Offer ! REMINDER + WANT. I don't care of the language ! Okay, I have decided to throw this out there, as I haven't had any to paint in a while, and open up a few slots for Repainting some figures! I usually just go find people's posts where they are looking for one and work from there, but this is the more direct way to do it. Here are a few examples from previous orders. More pictures, link to All my repaints, and price breakdown are beneath the cut! 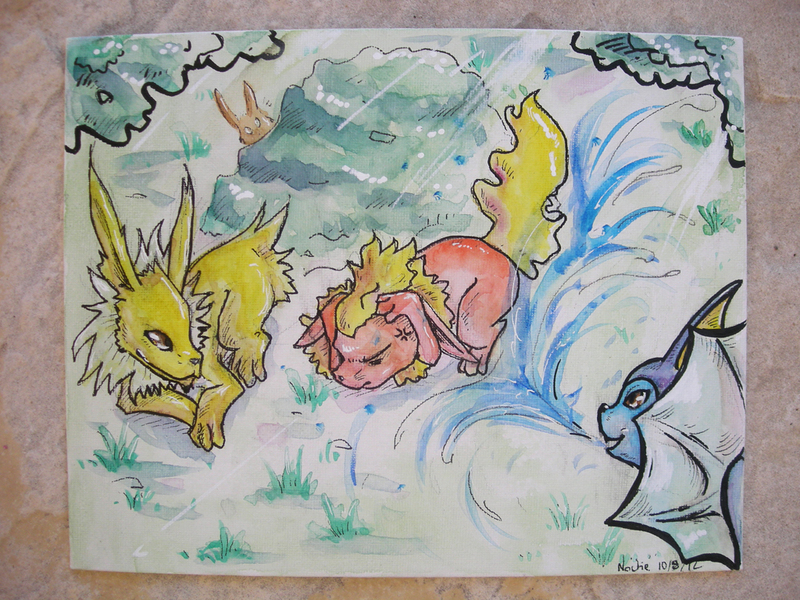 HERE is a link to my DA gallery with ALL my pokemon repaints in it. Feel free to browse! In light of the new merch from the 2012 Worlds event I've made a new wants list! My top wants right now are from Worlds! I know these were only given to competitors and will be hard to come by, but I really have my heart set on acquiring one before I go to Hawaii next month (Actually 2 but I'd settle for one lol) so name your price if you are willing! This is SO cute I must have one! I'm looking to pay around $30-35 ... seems fair? Either way, shoot me an offer if you have one for sail! 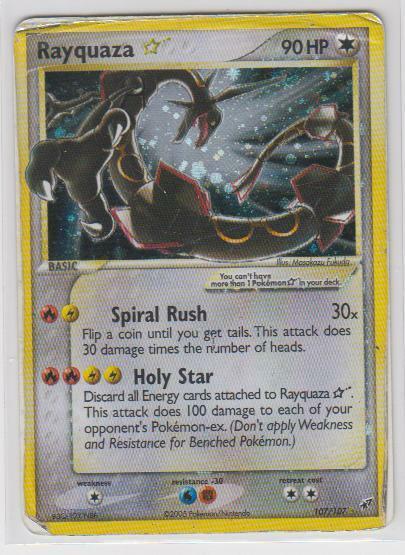 This has become my number 1 quagsire want! I'd probably pay somewhere from $15-30 depending on the color and condition! If you have any of these things for sale or more information on them please let me know!! 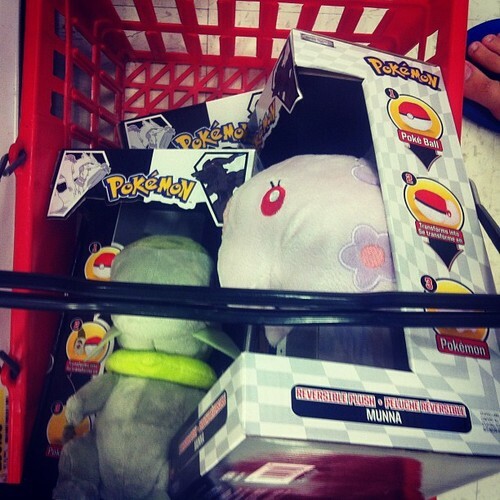 smoochum/jynx/zukan wants and a recent get! FIrst off, my local Target, as well as many others finally got the new reversible plushes and those cute new keychains. My boyfriend and I couldn't resist picking up all three reversibles. Another Dose of Collection Updates + Sales Updates! Also, added some stuff to my sales, edited and fixed up a few things, and dropped some prices :) Come take a look! I decided to enter the summer time contest! Here's my contest entry. I've always wanted to go to the beach but I've been pretty busy this summer. I had a hard time choosing between this picture and another one with the golden gate bridge in the background x_x but I ended up going with this one because of the lighting. Thanks for looking! So, I have fabric. Lots, and lots, and lots of fabric, and I want to not have as much fabric. So I'm offering DISCOUNTED COMMISSIONS! If you commission me for a plush that I can make entirely from materials I have on hand already, I'll only charge for the labor cost (the time and effort I put into making the plush). And shipping, of course. :D A simple 6" fleece plush with one main colors would only cost around $20! I also have nice, cuddly fur in a lot of colors, which would normally add a lot to the cost of the plush. I've made a lot of plush for community members (including that Ponyta in the far right of my banner! ), so I thought I'd try here again. Also, we have some leftovers. 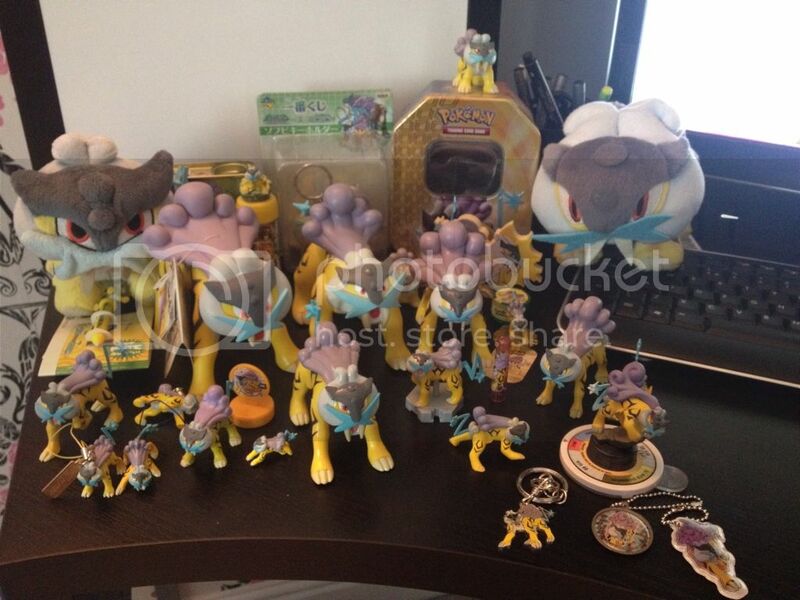 All of the turtwigs and piplups figures were not claimed! So they are available for $4.50 for gb participants and $5.50 for non-participants! 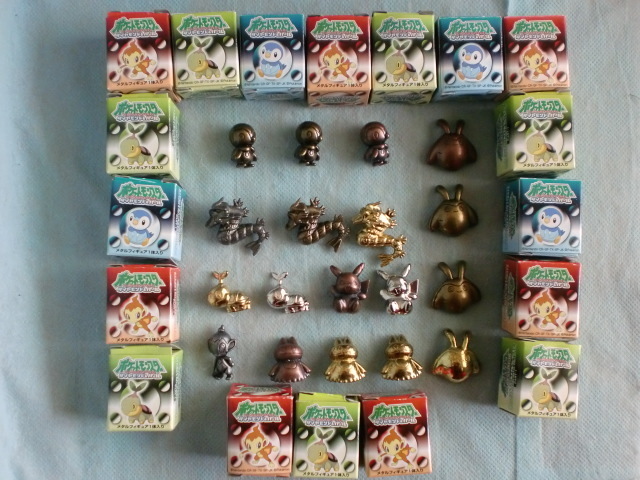 Let me know if you want one of the leftover figures before sending payment so I can calculate your new total. So I was browsing ebay; and came across a rare find. Problem is it's pretty damaged, and I'm contamplating on purchasing it. Does anyone know what might be a good price to pay for this? The current bid is at $31. The following is the image of my find. Hello, everyone. I saw this contest and thought it was a cute idea! Unfortunately I'm in Maine while my collection is at home in Missouri, so I had to Photoshop a picture I took here with some of my previous collection pics. It's pretty obvious because I would never put my collection in the water! The rules say Photoshop is allowed, but to what extent I don't know, so I hope I'm OK. Anyway, it was fun making this picture. Hope you all like it. 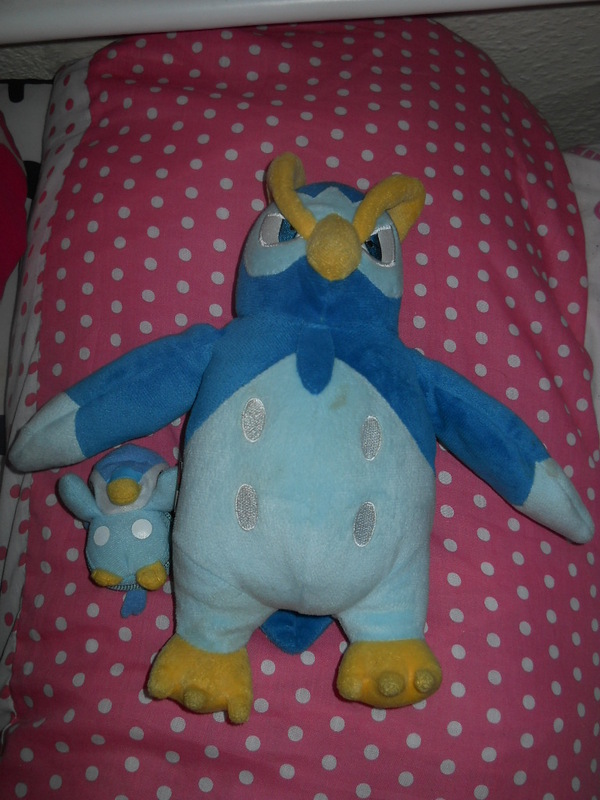 I went to a carboot sale and caught a pokeball piplup and talking prinplup! What is the best way to wash them? 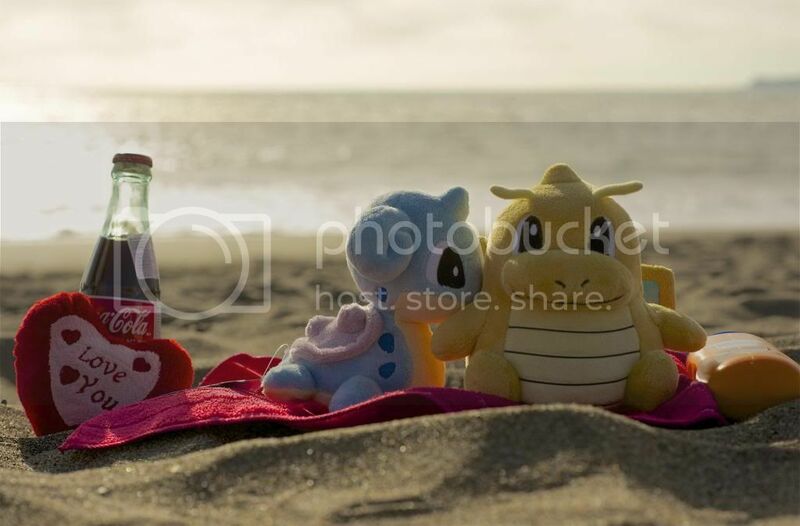 Questions in regards to Smeargle merch. Smeargle, the painter pokemon, is one of those weird Pokemon that I'm actually quite fond of, being an artist myself and for all the potential it possesses but just can't live up to, I relate to the guy (if that isn't at all sad.) My question for the community is that if there were ever any Smeargle plushes, I've looked and can't seem to find any, which I find weird especially since it's on the tag for the Pokemon Canvas series. If anyone happens to know the answer please feel free to let me in the loop. Thanks for looking :D I might do a collection update soon, but I want to do something different and special for this one so I'll have to wait until a few packages arrive before I start working on it.